The French Alps are a skier’s paradise that are home to some of the finest winter resorts in the world. Discerning travelers and snow enthusiasts head to France to take advantage of the varied terrain, exceptional snow record and cosmopolitan resort culture. Despite the snow, getting to your chosen ski resort has never been easier or more convenient, since luxury car rental companies offer a wide selection of cars with winter tires. I've selected the top three most luxurious resorts in the region. 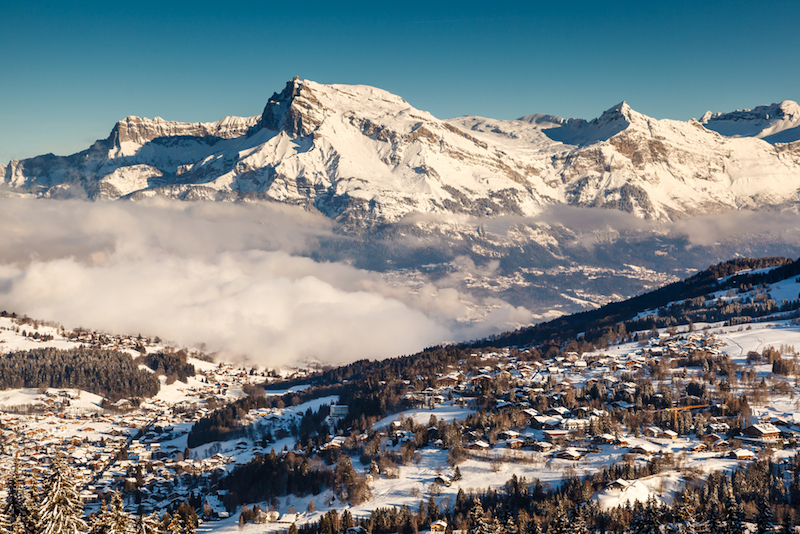 The charming village of Megève is one of France’s most beautiful ski resorts. It stands in stark contrast to some of the newer sprawling resorts due to its idyllic village center, dominated by a 13th-century church tower. The Rothschild family made the village fashionable in the early 1900s and wealthy investors soon followed. Although it was the first purpose-built resort in the Alps, it’s certainly not the highest, but its proximity to Mont Blanc ensures that the quality of snow is superb. Megève’s main square and its surrounding narrow cobblestone streets provide an authentic Alpine atmosphere, which can be explored by horse-drawn carriage for a truly romantic experience. However, these days it’s more famous for its restaurant scene and upmarket boutiques. It’s one of the best resorts in the Alps for non-skiers with an endless array of activities including a weekly market, antique shops, an open-air ice rink, a jazz club and a casino. Those who need to de-stress will appreciate the magnificent spa, Les Fermes de Marie, which is reputed to be one of the best in France. Although the skiing at Megève is limited because of its base altitude of 1,113m, its terrain stretches across eight mountain peaks. The opportunities for downhill skiing, cross-country skiing, and snowboarding are particularly good for beginners and intermediates. Megève’s location beneath Mont Blanc means it’s a great place to discover the Alps’ highest mountain by balloon or light aircraft ride. Likewise, a helicopter transfer to Megève will also give you some spectacular views of the famous mountain. Another advantage of its relatively low altitude is that it has a milder climate, which makes it good for outdoor activities year round. Courchevel is the most expensive ski resort in the world, so naturally luxury comes as standard. Its location in the heart of the Trois Vallées ensures excellent skiing conditions and some beautiful scenery. Courchevel is not one resort village but four distinctly separate ones. They are known as Courchevel 1850, Courchevel 1650 (Moriond), Courchevel 1550 (Courchevel Village) and Courchevel 1300 (Le Praz) reflecting their respective altitudes. 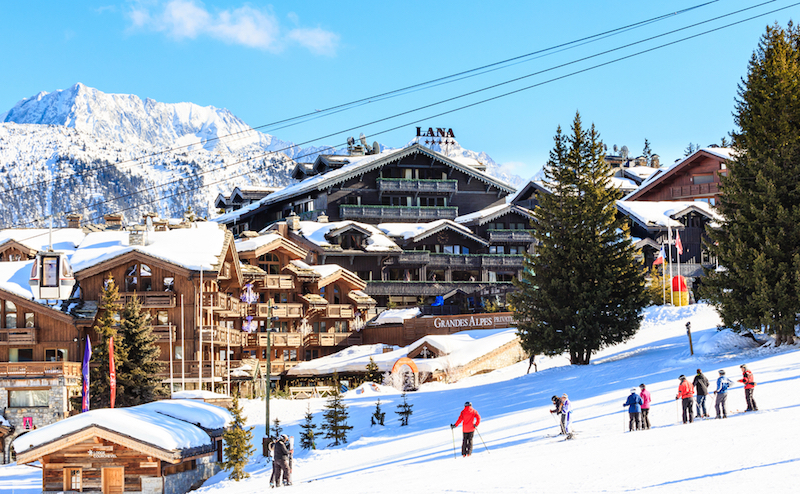 These villages get progressively more exclusive the higher up the mountain you go and Courchevel 1850 is a mecca for business oligarchs, celebrities and royalty. A luxury SUV rental like the sporty Porsche Cayenne, is a stylish and convenient way to move between the resorts. The villages are linked by lifts, pistes and a road which winds its way up from Le Praz, a traditional rural village set amid woodland. This quiet unassuming resort is a far cry from the glamorous resort at the top of the mountain but gastronomic connoisseurs highly recommend the Bistrot du Praz. Indeed, it’s reputedly one of the best restaurants in the French Alps and is lauded for its hot and cold foie gras specialties. Courchevel 1850 is the ultimate in alpine luxury and is now simply referred to as “Courchevel”. 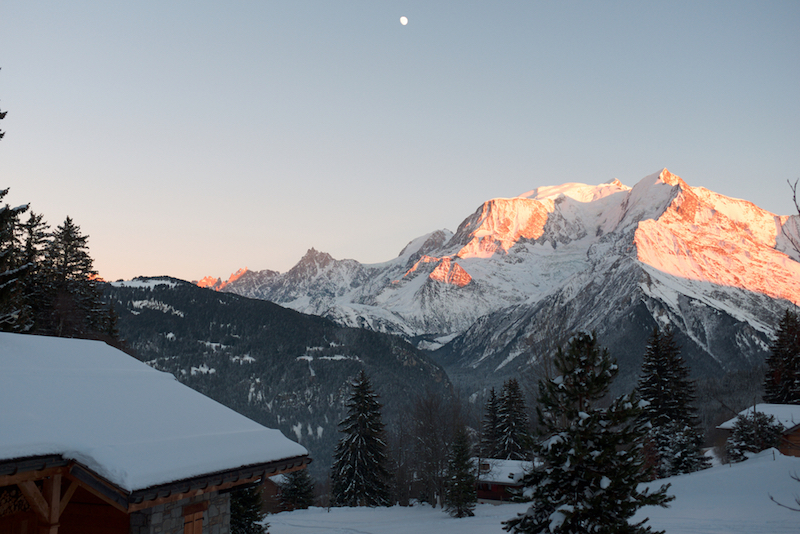 It is home to the most expensive ski resort hotel in the world, Les Suites de la Potiniere. As with all things on this mountain, the higher your suite the better, as the top level rooms offer some of the best views in all of France. However, it doesn’t matter where you stay since the whole of this village offers top-level luxury. There 16 five-star hotels, five Michelin restaurants with 2 stars and three with one star. The resort can take a long time to access by road from the main commercial airports, but fortunately, there is an airport which receives luxury helicopter transfers. 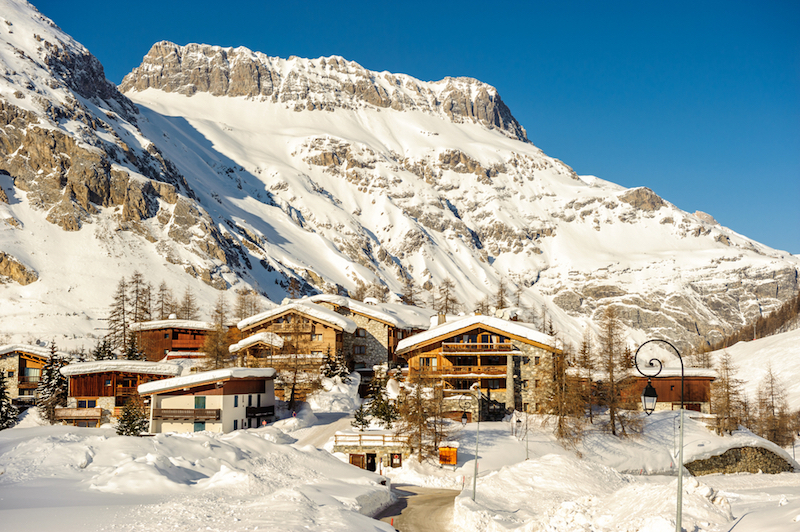 Val d’Isere has developed as a distinguished luxury destination in recent years. It tends to attract a well-heeled clientele who take their skiing very seriously, yet expect a level of sophistication in their surroundings. It’s ideally located in the famous Espace Killy, which offers easy access to Tignes, a fantastic snow record and some premier skiing opportunities. It is home to the infamous black run La Face, offering a formidable challenge to even the most advanced skiers. However, it also has an abundance of easy runs and ski schools to get beginners and children up to speed. Aside from the incredible 300km of groomed pistes, it proudly offers some chic accommodation and a vibrant nightlife that keeps going until the early hours. It has a good mixture of trend-setting establishments and charming traditional restaurants, but generally, the après scene is at its best in the center of Val Village. It leads the way in terms of modern resort facilities and its range of off-piste lifts make it popular with more confident skiers. Val d’Isere is also on its way to becoming the first resort to be completely connected to the web and even the new Solaise Gondola has WiFi access. This is a wonderful choice of luxury ski resort for all ages and interests. Or why not enjoy all three resorts? These three resorts are all outstanding, but there’s no need to settle for just one. All of these resorts offer 4x4 rentals and supercars that are primed to handle winter weather conditions and mountain roads. Pick up a stylish Range Rover Sport in one of the resorts, and enjoy its spacious interior and great road handling which make it an ideal choice for those traveling with a lot of equipment. Luxury rental cars can be delivered to you at airports or at the foot of the slopes. They provide the ultimate in comfort and convenience when combined with a luxury helicopter transfer.